Country music is extremely popular in Seattle, despite the city’s reputation as a mecca for grunge and alternative rock. His five-song EP, released last fall, features the reflective track “Can’t Believe You’re Gone.” The video has premiered on Taste of Country. 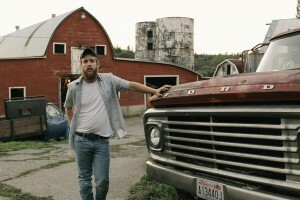 The video of “I Can’t Believe You’re Gone” was shot in Washington State. The song is about a man who experiences childhood flashbacks while visiting his father’s gravesite. Jakobsen wrote “Can’t Believe You’re Gone” in mid-2014 after hearing that his close friend’s grandfather had passed away. The Seattle native will perform a series of Northwest shows this spring and summer, including a May 22 set at the Hard Rock Café in downtown Seattle. Find other upcoming dates on his official website here.